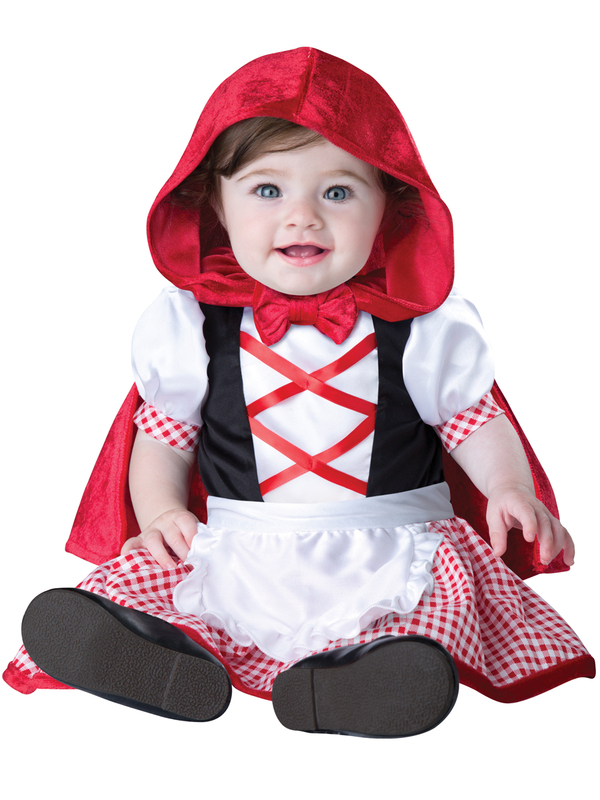 Adorable infant baby Red Riding Costume is so precious! Hooded cape with bow closure and jumpsuit with faux lace-up front, attached skirt and apron and snaps for easy diaper change. Shoes shown on model are not included.